FULTON, NY – Pictured are Fulton City Democrat BBQ committee members who are planning this year’s Frickin’ Chicken’s Pulled Pork BBQ dinner. 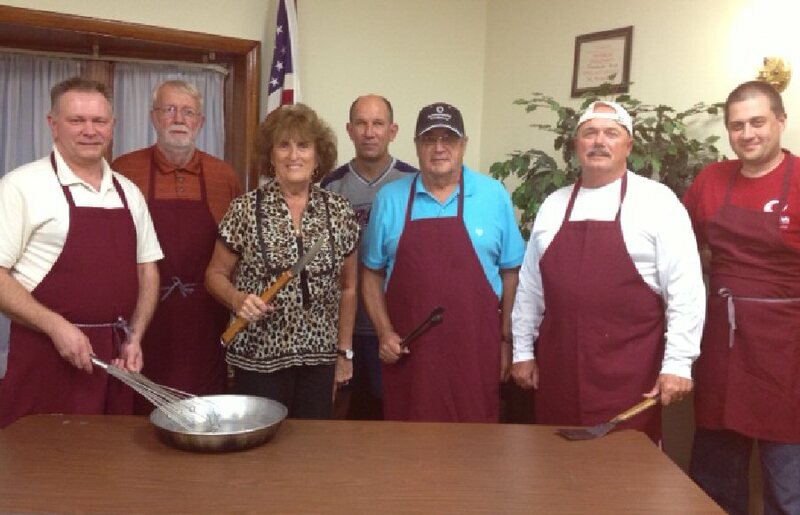 It will be held on September 15, at the Bullhead Point on shore of Lake Neatahawanta along Route 3 West in Fulton from noon until 2 p.m.
From left are: former councilor and chairman Jim Rice; former councilor Bob Weston; Fourth Ward Councilor Carm Cavallaro; Dennis Merlino; former county legislator Phil Vasho; and candidate for 25th Legislative District Frank Castiglia; and candidate for Fourth Ward Ralph Stacy Jr. Absent are candidates Ryan Raponi, Dan Farfaglia and Larry Macner. Tickets are available for $10.